EDI successfully completed its first summer fellowship program from June 4 to August 13, 2018. 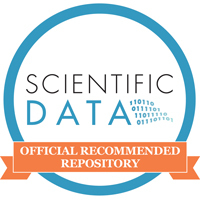 Each of our six fellows made a significant contribution to the preservation and reuse of data and metadata that they published for their host sites. For more information on the 2018 fellowship, a list of host sites, mentors and fellows, testimonials and published data packages, please see here. We are looking forward to beginning the application process for next year’s summer fellowship program soon by announcing the search of host sites. Please stay tuned!